Joe Louis and Max Schmeling are forever linked thanks to their two seismic prizefights whose international political implications made it a World Series worthy of the name. Germany's Schmeling was the first boxer to defeat Louis as a professional, knocking him out in 12 rounds on June 19, 1936. Two years later, with the world on the brink of its second world war, the son of a black Alabama sharecropper evened the score with a brutal one-round KO over the Deutschlander that knocked the Third Reich's theory of immutable Aryan superiority into the spit-bucket of history. 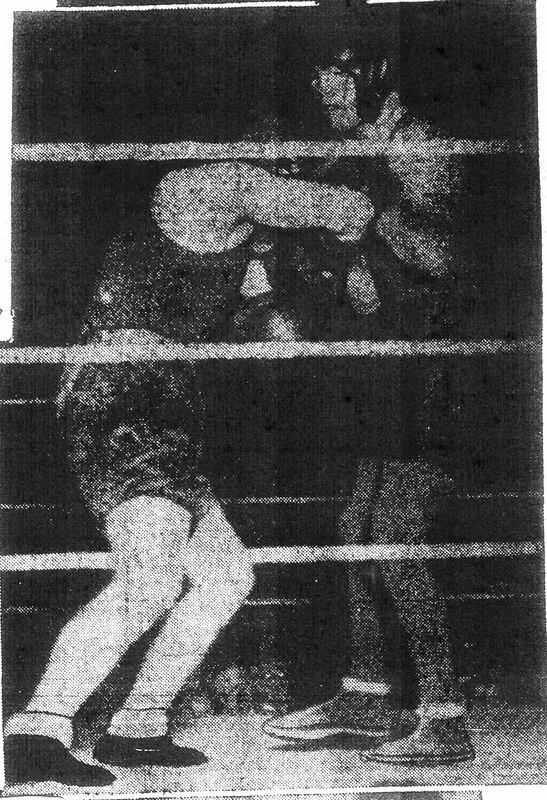 Both heavyweight champions (Schmeling, 1930-'32; Louis, 1937-'49) appeared separately at Borchert Field before they won the title, and in different roles. After four years of campaigning in Europe, Max Siegfried Adolf Otto Schmeling arrived in the USA in late 1928 to begin a serious run at the world title. 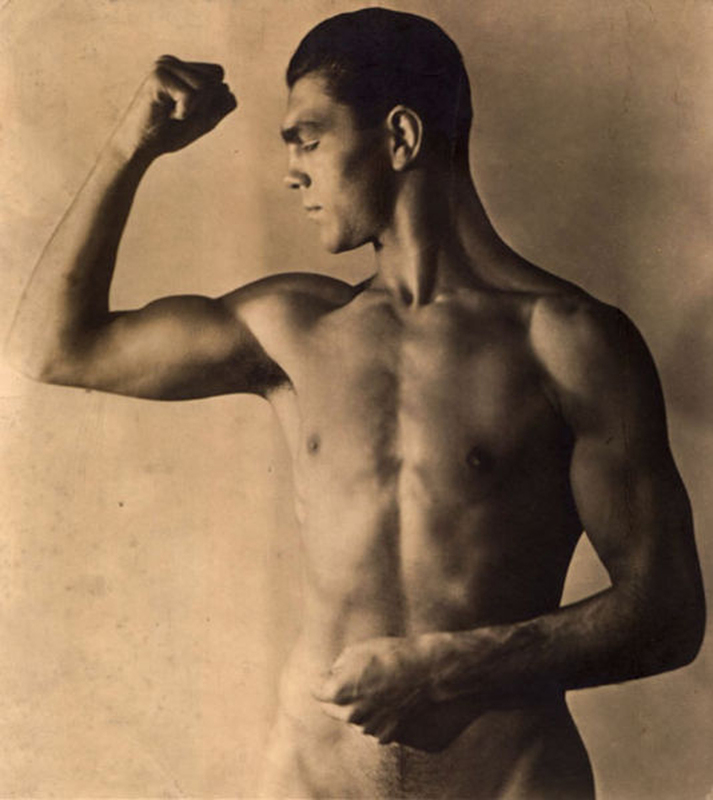 He won five fights in New York City, the last a 15-round decision on June 27, 1929 over Paulino Uzcudan of Spain before 35,000 fans at Yankee Stadium that established the 23-year-old German as a top contender. Within days, Schmeling's handlers decided to cash in on his new celebrity by sending him on a tour of 30 American cities. In his autobiography written about 50 years later, Schmeling recalled meeting the son of Buffalo Bill and crowning Chicago's "Blossom Queen" on that expedition, but otherwise could dredge up only indistinguishable images of "train stations, reception committees, Main Streets, country clubs, arenas, and hotel rooms; and always a pack of reporters—hat pushed back with cigar in mouth, pushy and rude, yet cordial at the same time." With its large Teutonic population, Milwaukee was on the itinerary, and on July 23, 1929, a 14-member delegation representing the city's Steuben Society, an organization of upper crust German-Americans, was at the North Shore train depot when Schmeling's train rumbled in at 3:15 p.m. The fighter and about 75 members of Chicago's Steuben Society accompanying him were paraded to the Hotel Schroeder (now the Hilton Milwaukee City Center) on N. 5th St. and W. Wisconsin Ave. for a reception. Max's hosts may have choked on their sauerkraut when the man of the hour "professed no undying affection for Schopenhauer or Goethe or Hauptmann" and "denied his reputed devotion to the zither" in an interview with an unnamed reporter for the Milwaukee Journal. "When he smiles the chief exhibition is two handsome gold teeth which have the appearance of substitutes for white ones lost on the field of battle," noted the rude yet cordial reporter in his story. "His ears have their original contour but his nose has been flattened considerably, obviously not from pressure on a window pane." 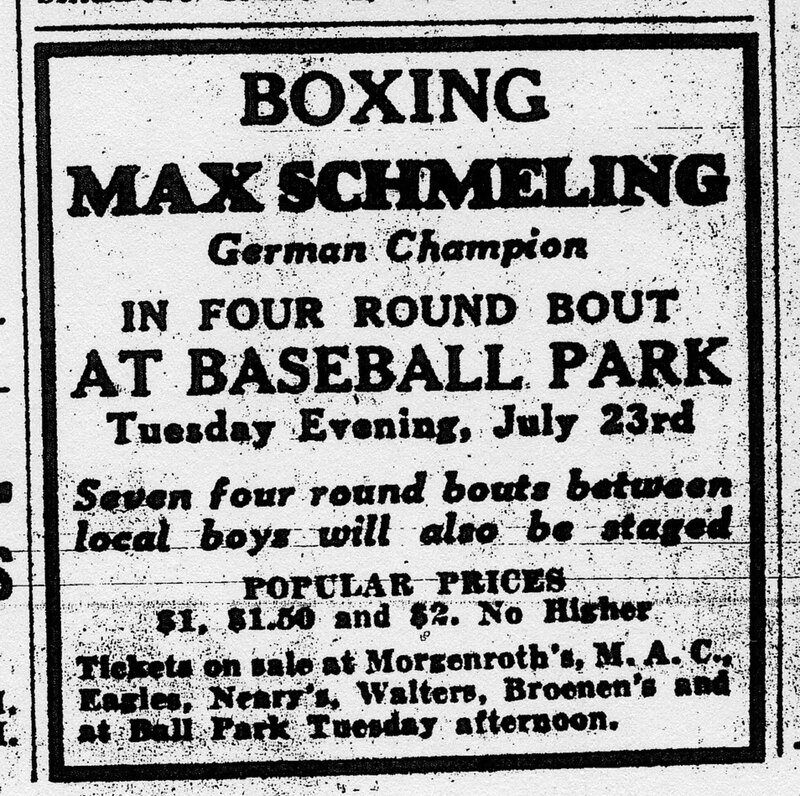 The next day, after the Milwaukee Brewers' 6-5 win over the Toledo Mud Hens and following a live 15-minute interview on WTMJ-Radio, Schmeling climbed into the ring at Borchert Field to box four two-minute exhibition rounds with sparring partners Germany Heller and Walter Sells. Seven other bouts involving local preliminary boxers were also on the card promoted by Ben Steinel's Badger Athletic Club. 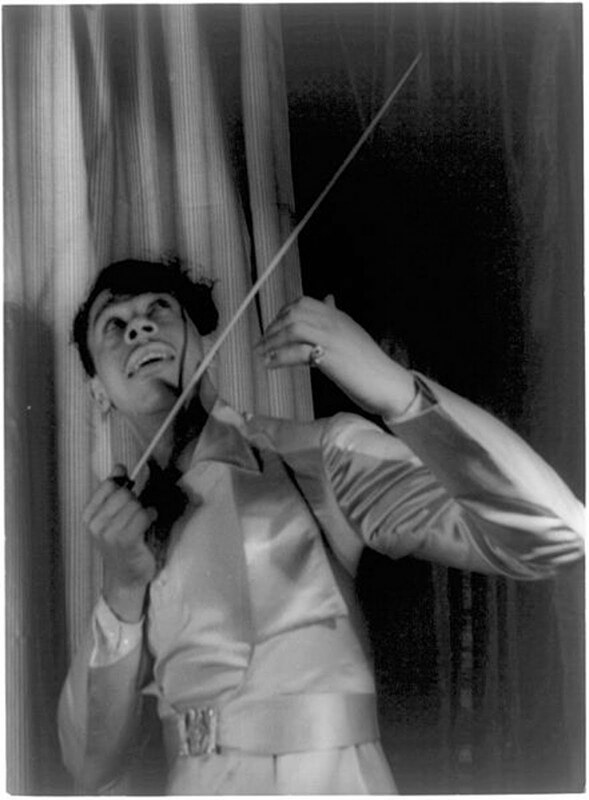 "Some of our best German people will be in the ball park chairs to see the Black Uhlan [Schmeling's nickname] work," said the Milwaukee Sentinel. "Never before has a native of Germany made as close a bid for the supreme honor of boxing and it is natural that the sons of the Fatherland should be excited over the coming of their countryman who has so distinguished himself." Whether they were pleased with what they saw that rainy night depends on which newspaper account you believe. According to the Journal, "Max just coasted through eight minutes of work," and when he knocked down Heller in the second round, Schmeling's sparring partner "forgot to be hit before he went down and the wisecracks flew ringward from all directions." Ed Dunn of the Sentinel reported that it was Sells who'd been knocked down "with a right hand," and wrote, "Working easily at all times, this swarthy son of the Rhineland displayed class that marks the thoroughbred from the scrub. He showed boxing brains, punch, a tricky attack and a passable defense." "...All the nice things said of him," concluded Dunn, "are more truth than baloney." Schmeling was paid $1,000 for his workout, and that night he and his posse of Chicago Steubeners headed to the Windy City. A year later, Schmeling won the title on a foul when Jack Sharkey hit him low in the fourth round. In 1932, he lost the belt to Sharkey by decision, and by the time he fought Joe Louis four years later he figured to be just another domino falling before the 24-0 American whose rise had been startling since "The Brown Bomber" turned pro in 1934. 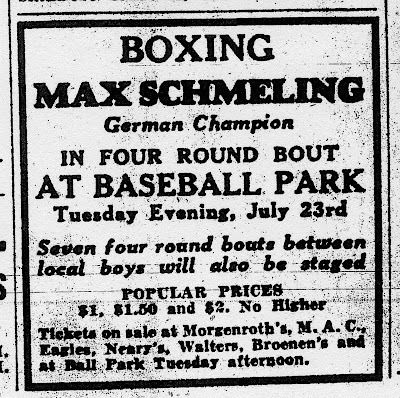 Schmeling's upset knockout of Louis earned him dinner with Hitler and should've gotten the German a title fight with champion Jimmy Braddock. But American boxing solons weren't about to risk having the sport's biggest prize become a propaganda tool for the Third Reich, so instead it was Louis who fought Braddock, on June 22, 1937, in Chicago. The original plan was for Joe to set up his training camp on May 1 in Lake Geneva, the ritzy resort city in Walworth County about an hour southwest of Milwaukee. But some wealthy residents objected because of "the unfavorable publicity the fine character of the region is bound to receive" from having a prizefighter in their exalted midst. Some observers surmised that what upset them wasn't so much Joe's profession as the color of his skin. In any case, the challenger pitched his camp instead at Lake Front Stadium in Kenosha, where spectators paid 55 cents daily ($1.10 on weekends) to watch Louis run around the track, punch the bags and spar. On May 28, Louis took a break from the training grind and traveled to Milwaukee to visit his friend Cab Calloway, the famous hi-de-ho entertainer whose band was playing at the Palace Theater. Joe was such a Calloway fan, he said, he'd have walked the 38 miles from Kenosha to see him. 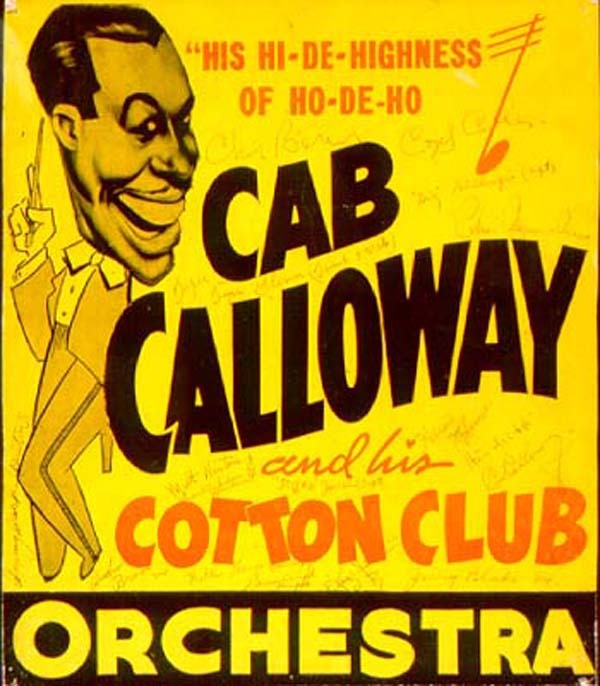 The feeling was mutual, and on June 1, Louis was behind the plate at Borchert Field, calling balls and strikes when Calloway's band played a charity baseball game against members of the Milwaukee Variety Club. 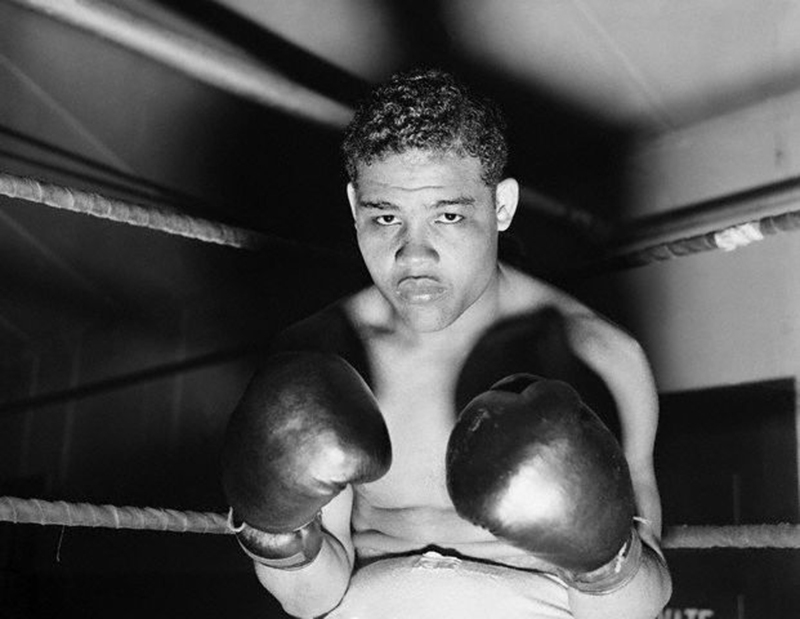 "Joe Louis Safe From Arguments When He Umpires," headlined the story in the Sentinel reporting that some 300 members of St. Benedict the Moor Church would be guests of the Variety Club, while everybody else had to pay to get in. All proceeds went to the Heart of Variety fund. June 4 was on off day for the Milwaukee Brewers, and several members of the team went to Kenosha to watch Louis train. Newspaper reports had indicated the challenger was unimpressive in training, and the ballplayers didn't see anything to change that impression. "From the start of the workout I couldn't see Louis at all," second baseman Lin Storti told Ronald McIntyre of the Sentinel. "He may have been a great fighter at one time ... (but) he seemed extremely slow, even against the poor sparring partners he had. "Several times he drove over a pretty stiff left hand to a sparring partner's chin—a punch that had plenty on it but not enough to drop the sparring partner. On those occasions Louis tried to follow up the punch with a finisher but he just wasn't able to do it." A few minutes into Louis's sparring session, Storti told McIntyre, pitcher Bill "Buckshot" Zuber "started to take off his coat as he headed for the ring. 'Hey, Lin,' Buckshot yelled, 'hold this coat for a few minutes and I'll get in there and lick that guy myself.'" Good thing he didn't try. Two weeks later at Comiskey Park, Louis pitched a near shutout against Braddock, knocking him out in the eighth round. On June 22, 1938, Joe punched holes in Schmeling and Hitler's delusion of German invincibility. Nice piece, Chance! I had no idea about the state connection to the Louis-Schmaling fight. The Packers played the Kenosha Cardinals in a non-League game at Lake Front Stadium in 1941. They played another one there in 1940, but you won't find that in the media guide. I submitted microfilm printouts to Lee Remmel a few years back in the interest of updating the historical record, but I didn't get a reply.